The offseason is an import time for all. It can be a time for teams to regroup after a disappointing season, or a time when a team tries to keep a gelled team together and intact for a another run at a Stanley Cup. It is hard to say who the winners are due to the various ways you can look at the summer’s results. A few candidates could be the Los Angeles Kings have kept a Stanley Cup Championship roster complete and did not lose one player this summer, while the New York Rangers one the Rick Nash race and added to an already impressive roster. 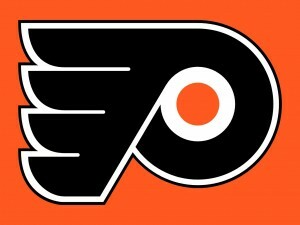 However, it is somewhat of a given that the Philadelphia Flyers have been the loser of this year’s offseason. Let’s start with the elephant in the room, their defense. Their blue line took an immediate hit when they lost Matt Carle to free-agency. But, most saw Andrej Meszaros could possibly carry the load and be the Flyers’ go to guy next season. Then the unthinkable happened and Meszaros went down with and achilles injury that will likely sideline him for the entirety of next season. Put all this on top of former Chris Pronger’s future pretty much not being there, things can’t get much worse for the Flyers on the back end. There are some capable players in Luke Schenn, Kimmo Timonen, and Braydon Coburn but Philadelphia’s defense is looking quite shaky. The Flyers’ brass tried to fill their hole on the blue-line in a big way, when they tried to steal Shea Webber from the Nashville Predators. But to Philly’s despair, the Predators matched their offer sheet and burned the Flyers hopes and dream of having Weber patrolling the ice in Philadelphia. On the offensive end, they lost ageless wonder, Jaromir Jagr to free-agency. Sure Jagr wasn’t the offensive juggernaut that he once was, but he contributed a hell of a lot and provided some key goals for the Flyers. To top things off, almost a salt in the wound kind of deal, Nash was traded to the Rangers, the Rangers, the Flyers’ most hated rivals, a team that the Flyers went winless against last season. This lackluster defense could fall victim to Nash regularly next season, a site that Philly fans will learn to hate quickly I’m sure. The offseason still has a way to go before the puck drops in October, that’s if this CBA thing gets settled, and the Flyers have planet of time to turn things around. It has been said that the Flyers are in talks trying to acquire Bobby Ryan via trade from the Anaheim Ducks. This recent development and blue-line depletion, could and should change the Flyers position in the Ryan talks and refocus them to get some defensive depth.